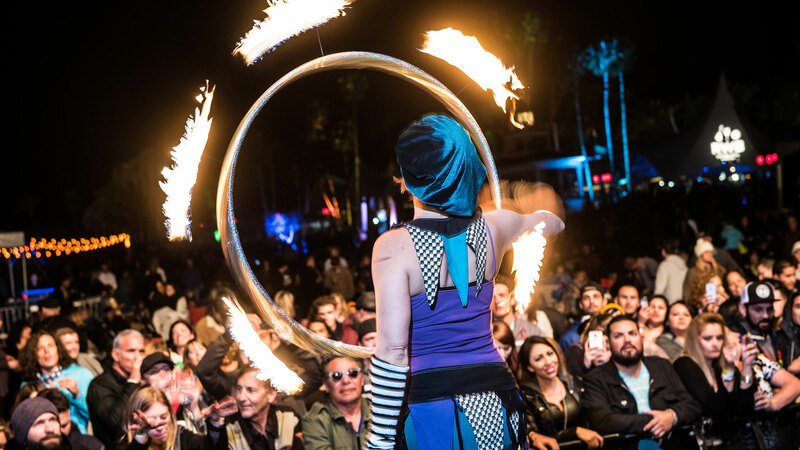 The Greater Palm Springs area has become synonymous with great, outdoor music festivals: Coachella, Stagecoach and now the Desert Oasis Music Festival. The event, which takes place October 7-8, 2017, at the Empire Polo Club in Indio, leans strongly on a reggae vibe featuring such world-renowned acts as Damian “Jr. Gong” Marley, Fishbone, Rebelution, Steel Pulse and J Boog. Yet, other bands such as Reel Big Fish and Los Lobos, will also share the roster, rounding out the weekend’s selection with a hearty dose of ska, Latin rock and hip-hop. You’re sure to be in a chill mood during these two days, especially with fall weather that’s perfect for enjoying music under the sun. So come for the tunes, but don’t miss out on the rest of the fun! 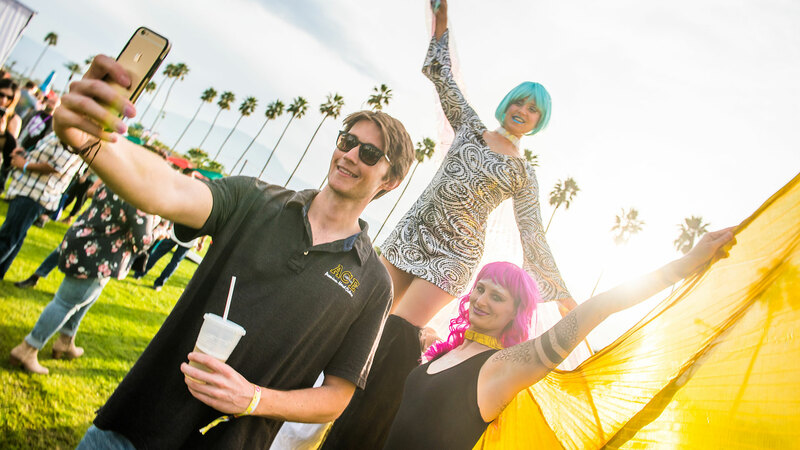 For visitors who want a full immersion experience, the festival features on-site, no hookup dry camping. Those who opt to reserve a space will have access to exclusive perks such as play in the sandy beach volleyball courts, free morning yoga on Saturday and Sunday, and participation in other fun games like ping pong, beer pong, and corn hole. In the campground’s common area, DJ Rawkwell will play nightly after the main show, providing a continued chill ambiance for campers. There will be plenty to eat and drink onsite as well with fare going way beyond normal lowbrow festival food. Alongside the traditional burgers and beer, think gourmet plates, top tier vendors, and hipster businesses such as the nomadic pizza company Spicy Pie. Vegans will be thrilled to try Strictly Vegan’s menu of vegetable and grain salads, or their festival-themed jerk chicken dish. An authentically decorated Tiki Hut will offer up libations in the Rum Lounge. Also on the creative tip, large pieces of art and massive installations commissioned from noted artists both local and non-local will dot the festival grounds. The pieces will remain a surprise until their unveiling on opening day. Throughout the weekend, a special troupe of circus style performers called Flowbox will mingle throughout the crowds. This wildly costumed cast of characters will stilt walk, juggle and entertain with LED lights into the evenings. Festival admission and camping passes are on sale now and can be purchased online at www.DesertOasisMusicFestival.com. 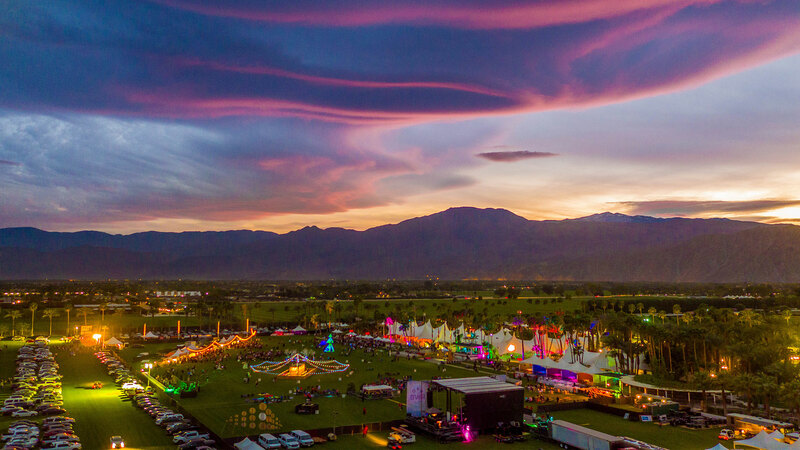 Festival passes include one-day and weekend packages along with on-site camping opportunities. Need a hotel? Check out our full list of Greater Palm Springs hotels for your music festival weekend.